Jennifer Hill, Legal Personhood and Liability for Flawed Corporate Cultures, European Corporate Governance Institute Law Working Paper No. 413/2018 (2018), available at SSRN. In Legal Personhood and Liability for Flawed Corporate Cultures, Jennifer Hill provides a thought-provoking, comparative perspective on corporate accountability for misconduct arising from defective culture. Recent scandals involving Volkswagen, Wells Fargo, Uber, Fox News, CBS, and others make clear that culture can contribute to malfeasance that damages both company and societal bottom lines. Such scandals raise key corporate governance questions: (i) how should the law address widespread intra-firm wrongdoing as a matter of criminal and civil liability? ; and (ii) should the law target the organization, the senior executives and directors, or the individuals (i.e., “bad apples”) who commit wrongful acts? The paper compares US, UK, and Australian approaches to two types of liability: (i) entity criminal liability and (ii) individual director and officer liability for breach of duty. The analysis highlights jurisdictional differences and similarities that determine each regime’s ability to promote accountability for misconduct arising from flawed corporate cultures. It also examines the influence of the theoretical lens through which scholars view liability for flawed corporate cultures. Aggregation theories (e.g., nexus of contracts), viewing the corporation as a legal fiction composed of natural persons, create barriers to entity liability. (Pp. 9-14.) By contrast, entity-based theories, viewing the corporation as a separate legal person, can be used to secure legal rights for corporations on the one hand and impose duties on the other. This analysis finds that entity-based theories are better-suited to address accountability for flawed corporate cultures than aggregation theories of the corporation because they: (i) can overcome accountability problems where it is difficult to identify individual wrongdoers; (ii) address diffuse, opaque, and complex operations more effectively; (iii) minimize scapegoating of lower-level employees to protect senior management; and (iv) incentivize self-regulation to avoid liability. The paper asserts that despite their different historical development, the US, UK, and Australian approaches all allow for entity criminal liability. (Pp. 14-19.) However, it finds no coherent theory of criminal liability across jurisdictions, especially with respect to misconduct stemming from a flawed corporate culture. At first glance, the US and UK approaches to director liability for breach of duty appear different, but in practice, they both significantly limit it. In contrast, Australia has an active public enforcement regime: the Australian Securities and Investments Commission brings actions against directors for breach of duty with a degree of success. Australian courts and regulators increasingly view directors’ duties as public obligations with important social functions, and this raises director liability risks for overseeing flawed corporate cultures. The paper highlights a number of common scenarios involving cultural breakdowns; for example, (i) low-level employees commit wrongful acts in response to encouragement and firm-wide directives from senior management (P. 9); and (ii) high-level employees engage in malfeasance that results, not from perverse incentives, but inadequate policing of the company’s culture. The Wells Fargo fictitious accounts scandal reflects the first scenario, and recent sexual harassment scandals at CBS and Fox News, where harassment by senior employees deemed too important to the organization was tolerated, reflect the latter. Although within the US corporate-law context (i.e., Caremark and Stone v. Ritter), directors and officers are unlikely to face liability for breaching their oversight duties due to flawed corporate cultures, they ostensibly set a cultural and ethical tone for the entire organization. Flawed corporate cultures may impede effective management of legal compliance, risk, and corporate malfeasance. The failure to account for flawed corporate cultures, irrespective of legal liability, risks damage to company and societal bottom lines. The legitimacy of US-based corporate law is often judged from a procedural perspective, with procedures serving as a heuristic for quality governance, but procedures do not necessarily capture important cultural and behavioral dynamics. For example, a common feature of most corporate compliance programs is an employee code of conduct that serves as a written reflection of a preferred culture and behaviors. When unwritten rules, practices, and patterns undermine it, directors and officers are unlikely to be held liable as long as they did not have knowledge of wrongdoing, and officially sanctioned written procedures were followed. Culture is an anthropological concept. The paper acknowledges that the corporate governance literature views it as “slippery” and cloudy, with no consensus on its meaning. In practice, ascertaining where a culture begins and ends and how to measure it may be difficult. Arguably, organizations do not constitute a single culture. For example, they may have a dominant culture reinforcing integrity as well as various subcultures promoting abhorrent behavior. The latter prove most problematic and challenging for legal compliance and risk management. In conclusion, this must-read paper alerts corporate governance scholars to the haunting presence of flawed corporate cultures and provides an informative comparative assessment of how different jurisdictions address the implications. 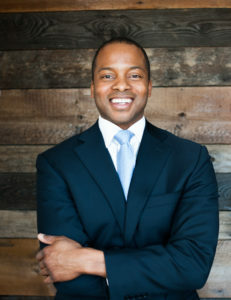 Cite as: Omari Simmons, Responsibility for Flawed Corporate Cultures, JOTWELL (April 5, 2019) (reviewing Jennifer Hill, Legal Personhood and Liability for Flawed Corporate Cultures, European Corporate Governance Institute Law Working Paper No. 413/2018 (2018), available at SSRN), https://corp.jotwell.com/responsibility-for-flawed-corporate-cultures/.